Last year we reported that the European Commission had proposed ending daylight savings time in EU member states. The proposed scrapping of the seasonal time change was set to occur on March 31, 2019, but was waiting on approval by the European Parliament. After months of debate, the ruling body has come to a decision. 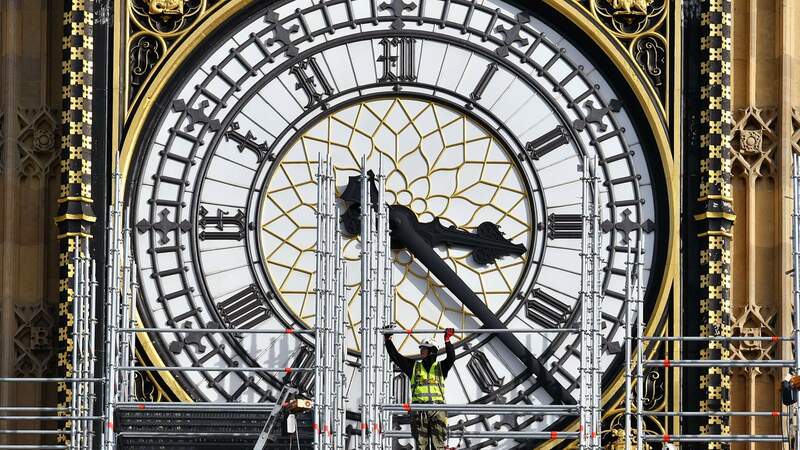 Parliament ruled in favor of abolishing daylight savings time across Europe. Bloomberg notes, member states will now have until 2021 to decide whether they will remain on summer time or winter time. The change was partly prompted by a survey conducted among 4.6 million Europeans, 84 percent of which said they were opposed to seasonal time shifts. Public opinion was not the only reasoning. "Our main finding is that — contrary to the policy's intent — DST increases residential electricity demand. Estimates of the overall increase are approximately 1 percent." One of the cited motives the practice was started was to conserve energy. However, recent studies have shown energy savings between regions on daylight time and those that stay on standard time are negligible to nil and may actually increase energy consumption in some cases. There is little to no evidence that seasonal time shifts of one hour create any tangible benefits. On the contrary, the US National Library of Medicine and National Institutes of Health have published numerous papers on the negative impacts of daylight savings. More than one study has shown that fatal traffic accidents increase during the shift to and from DST. Other research has linked the time change to poor work performance. There is even one postulating increased cancer risks due to the time shifts fouling up normal circadian rhythms. Daylight savings time also has been a thorn in Apple's side on numerous occasions going back to at least 2011. Studies aside, very few people in Europe, or even in the United States for that matter, see any valid point for changing their clocks twice a year. In the US, Arizona abolished DST in 1968 and has not financially collapsed, fallen into the center of the earth, or suffered any other imaginary boogieman. So kudos to the EU for finally abandoning an archaic and useless custom. xxLCxx and p51d007 like this. Seriously. Losing that hour when DST starts is such a *****. Lol, I bet they would still find a way to spin it negatively. "He's just copying the EU!" p51d007 and Uncle Al like this. News or opinion piece? Hard to tell particularly at the end. Daylight savings has many benefits. Most people actually want it all the time so they still have some daylight after work. DaveBG and xxLCxx like this. In the long run it just tends to be more of an annoyance and haphazard system which we humans screw things up as a result. I wish the whole would would dump DST. At this point whether or not we stick with summer or winter time, I don't care I just want the damn thing gone. While we're at it, EVERYONE is going to metric measurement system as well. Whine all you want engineers who think imperial is superior because you have "thousandths of an inch" and "everything is built upon that". You do realize that metric is built upon base 10 right? There are thousandths of a centimeter too, you know... I think it is silly how engineers all love thousandths when it is just a copy of the concept behind the metric system. Quit screwing around we all need to be on the same system here. All this conversion back and forth and forth and backward, and across the damn pond is just aggravating and wasting tons of time. Our time would be better spent on problems that are actually killing people. xxLCxx, Gmachine, m4a4 and 1 other person like this. In the US, Arizona abolished DST in 1968 and has not financially collapsed, fallen into the center of the earth, or suffered any other imaginary boogieman. Personally, I prefer DST and I wish that the US would finally join the modern world and completely abandon seasonal time changes. As the article noted, studies show those changes do more harm than good. I have a background in optics. I prefer the metric system. "Only a white man would believe that you could cut a foot off the top of a blanket and sew it to the bottom of a blanket and have a longer blanket." Cal Jeffrey, stewi0001, xxLCxx and 1 other person like this. This article starts with CA guy's own feelings, which he needs to claim, and he does it by referring to the EU parliament decision. Sounds like a mess, doesn't it? It becomes obvious that the text above is biased by its author's motives. Anyone who can read the wiki page about DST benefits and drawbacks, finds out: there's a lot of pros and cons, as well as studies claiming it. But the discussed article states only cons, like pros just haven't existed at all. There's logical mistake from the start, and it's in the middle. One obvious is about study which claims correlation between time shift and cancer risk. The abstract of the study indicates on risks of work shifts and light exposure at night, though. I believe most readers can see the difference. DST is an artificial thing like timezones, and it hugely depends on the region. The EU now moves to that direction when every its sub-region (=country) takes his own decisions about daylight saving. Let's imagine, e.g. Brussels w/o time shift. There will be civil twilight from 02:42 am instead of 03:42 at worst (as of june 22), and evening sunsets from 08:00 pm instead of 09:00 at best. I predict many EU citizens, much more than those 4.6 mil who voted against DST, will want it back soon. 3 to 5 days whine right after spring time shift is nothing compared to months of early morning sunrises or early evening sunsets, especially in Central Europe. Remember that circadian rhythms, aha. Aus spot and Digitalzone like this. I think the idea here is to either make DST permanent or remove it all together. The debate here in the US is whether or not we should have a time change in general. I'm ok with keeping DST as it does make for longer days but that's a debate that will come after we get rid of the time change. 70% of the people who voted in the survey were Germans - so not exactly an EU-wide survey. However I also think we should get rid of DST time changes in Europe. The days will get longer and shorter at the same rate - just get used to it. It's got to be better than the sudden shift that occurs where you feel the effects of it (in terms of less or extra daylight) for about 3 weeks and then it becomes irrelevant for the next 5-6 months but you're still stuck with the different timezone. Heck, most people I work with in Ireland don't realise that we're GMT+1 during the summer and they keep quoting times in GMT. Some consideration also needs to be given to which timezone each country will change to, relative to what their neighbours are choosing. Daylight savings time is a complete waste of time! (literally) If only the USA could be as progressive as the EU. The US government will probably not follow suit just because they don't want to be seen following the EU!